There may not be daily fantasy PGA this week with the WGC Cadillac Match Play Championships, but that doesn’t mean you’re not participating in some pool where you can win big money elsewhere. Let’s see if we can help you get an edge there. 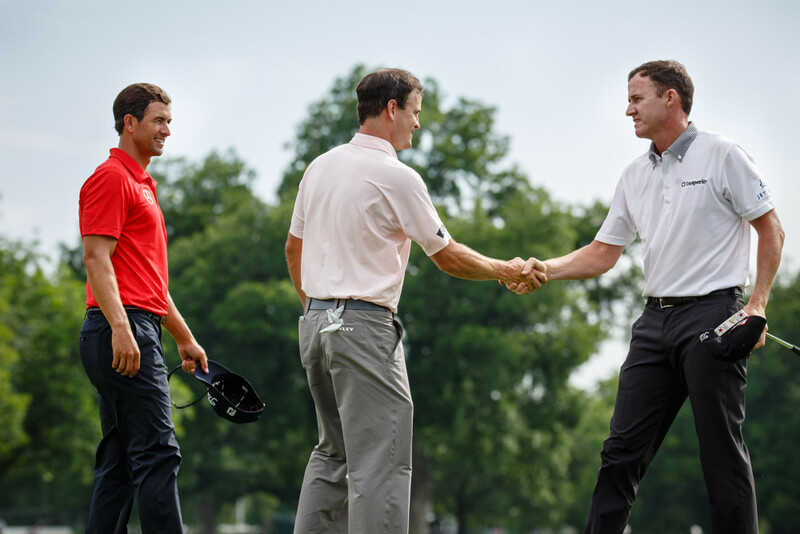 As you probably know, the Match Play is going under a different format this year. It’s World Cup style. Therefore, we will have 16 groups of four players in round-robin or pool play. The top player from each group will advance to the final 16 and compete in a single elimination bracket. It’s simple enough, but we know that this isn’t like March Madness, Upsets are very, very common. 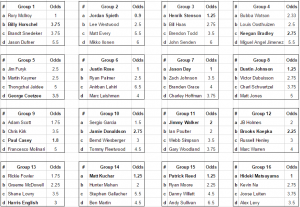 The simplest way we can find upsets in terms of seeding is to just look at odds. Often times, the worse-seeded player can be a favorite. 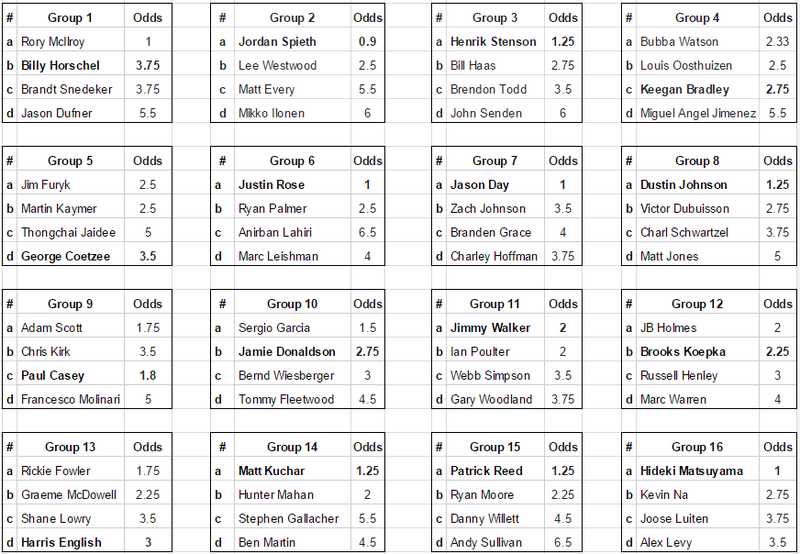 I broke it down simply with the odds for each player to make it out of his respective group. Odds are based on the average of several sportsbooks. In bold are my picks to win the groups. These picks are based on odds to some extent of course. They are also based on how each golfer matches up with TPC Harding Park, how well they are playing as of late and if they are they typically a good Match Play competitor. It’s important to remember Harding Park is significantly different than Dove Mountain. Harding Park requires length and accuracy. There are par 5s that the longer hitters will definitely have an advantage on, and the course is close to sea level so the ball won’t fly too far. 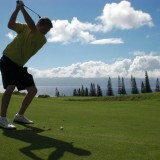 However, the rough is thick and the greens are delicate enough that you must be precise. 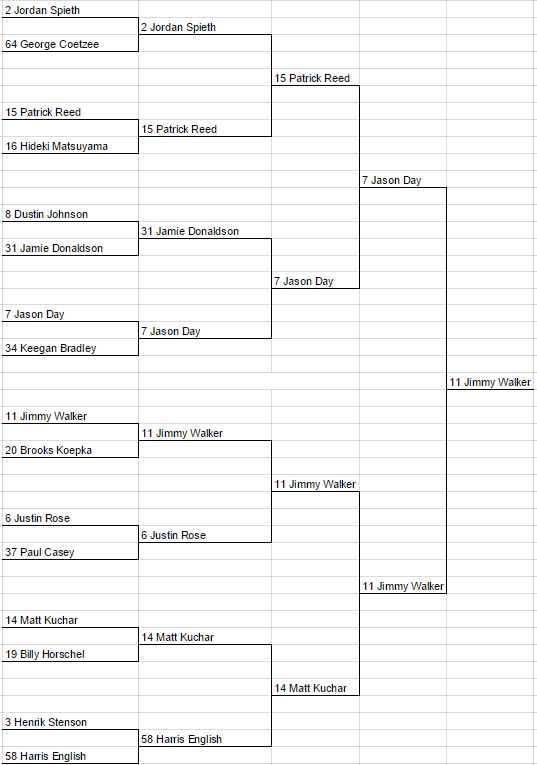 Here is my final bracket. 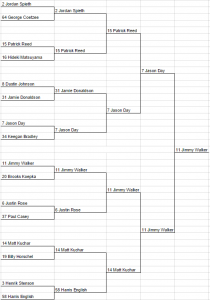 As you see, many of my picks who are advancing several rounds are longer hitters, accurate and know how to scramble. Basically, I’m looking for guys who don’t have a glaring weakness. It’s obviously going to take a lot of luck to win a pool of significant entries, but going with these picks and/or finding odds in your advantage is your best bet.